Can you believe we’re already into the middle of the week? 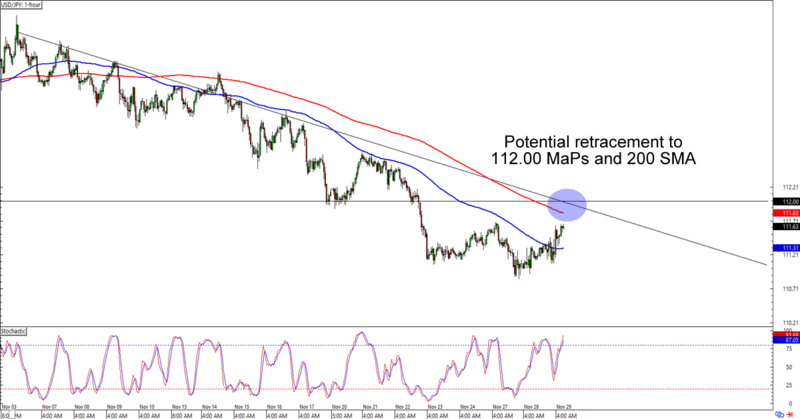 Get over the mid-week hump with these short-term setups on USD/JPY and NZD/USD. Get ’em while they’re hot, yo! Somebody holler at Huck because this setup is too good to miss! USD/JPY is heading fast towards the 112.00 major psychological handle, which happens to line up with a falling trend line AND a 200 SMA retest on the 1-hour time frame. Will we see more selling around the MaPs? Shorting at the level could give you a sweet reward-to-risk ratio especially if you place your stops just above the trend line and aim for the previous lows near 111.00. If you’re one of them dollar bulls, though, then you could also wait for the pair to break above the trend line AND the 112.60 area before you take advantage of any bullish momentum. Whichever strategy you choose, keep close tabs on this one. After all, yen pairs tend to be more volatile than other major currency pairs. Here’s another one for y’all trend surfers out there! 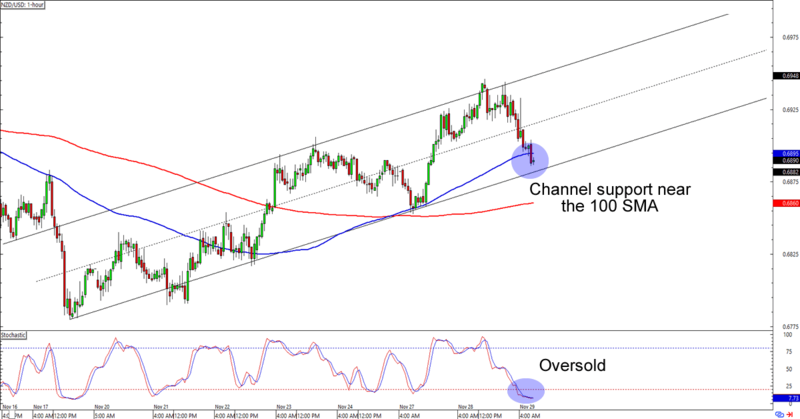 NZD/USD is about to hit the .6880 area, which is not only near a rising channel support, but is also around the 100 SMA on the 1-hour time frame. The cherry on top of this sweet setup is an oversold stochastic signal. But will these signs lead to more gains for Kiwi? NZD/USD isn’t seeing signs of a reversal yet, so y’all might want to hold your horses on your buy orders. Keep your eyes peeled for any signs of bullish momentum, though, as Kiwi bulls might not wait for an actual support retest before partying in the streets. Good luck and good trading, brothas!